We know you must have some questions about how to run your first business, so we’ve gathered some helpful info here to get you started on your initial lemonade stand promotional and marketing plan. In marketing the key to any successful business venture are the 4 P’s: Product, Price, Place and Promotion. It is important to carefully think about each of these P’s before getting started. You have to determine your product line, set your prices, think about where you will be selling and how to get the word out. Below find info on each of the 4 Ps to get your lemonade stand business started on the right track! Lemonade, Lemonade, and other Goodies! Your Lemonade has to be the very best Lemonade in town!! We’ve got lemonade recipes for lots of different lemonades! Everyone gets hungry after sipping lemonade so have some yummy snacks too! If you have different recipes, please send them to us so we can share them with others. Remember it’s for charity so we want to sell as much as we can. Don’t put a very expensive price on your drinks and food or no one will be coming for seconds! We recommend a starting price of 50 cents to 1 Dollar per glass. But don’t be afraid to ask for additional contributions…remember all proceeds are for charity! Make sure you are in a public place in full view where you are bound to get a lot of foot traffic. Do not sell in places like behind the fountain or around the corner. Start with an amazing stand. Boxes, a plastic table and a chair will do. 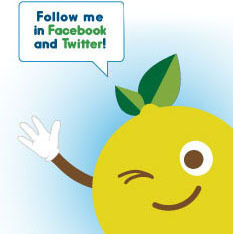 Add a big sign to your table (look in our Lemonade stand decorations for download). 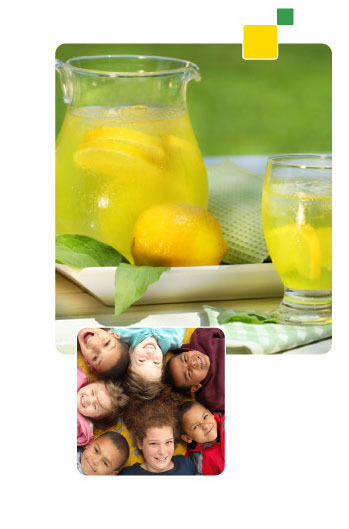 The Lemonade Stand advertising game! We’ve got lemonade stand flyers to post at the local supermarket or on your neighbor’s doors, anddslemonade stand banners for your stand. If you are going to sell in a park, post signs in and around the park advertising your stand. We’ve also got a fun place where you can get lots of stand lemonade stand decorations to print and post in your stand. Beware it’s really fun!! Have someone help you so you can take turns doing different things… it's also more fun to have a friend around! And just to show you how much fun friends can have, check out our Photo Gallery to see how everyone is having a blast with their buddies! Ride around the neighborhood or park and lemonade stand advertise. Remember, it’s for charity and it’s meant to be fun, so have people help you spread the word. Important! 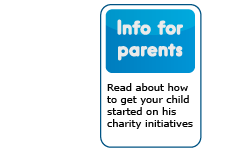 : Remember to always communicate all your plans and activities to your parents and to send your profits to your charity!